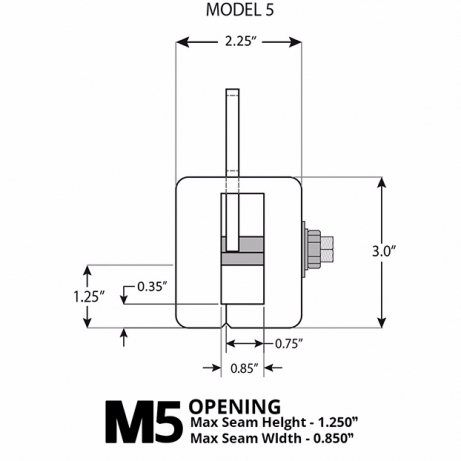 The Model 5 SeamSAFE roof anchor is designed to accommodate standing seam metal roofs with a seam height of up to 1.25 inches or greater and a maximum seam width of .85 inches. The anchor is 12 inches in length. 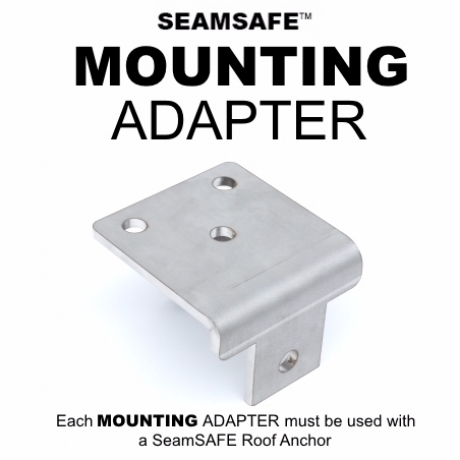 The Model 5 SeamSAFE roof anchor functions by loosening the nuts, separating the blocks, and fitting them over a single standing seam. It is quickly installed with a 3/4-inch, box-end wrench and easily repositioned as the roofer works. 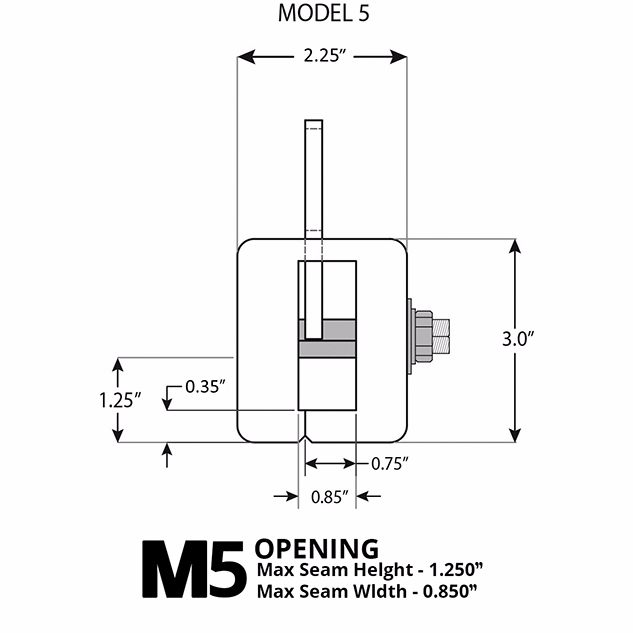 Click here for SeamSAFE Installation Instructions. 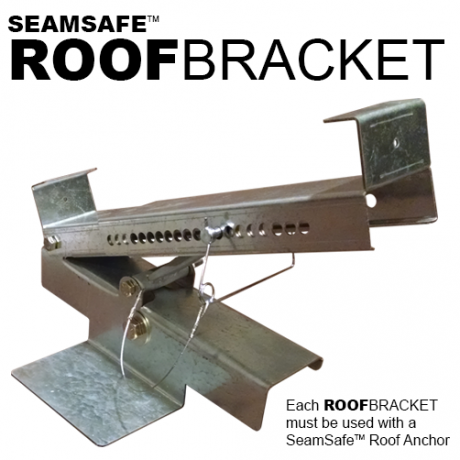 The anchor can be transported to a roof hands-free by being clipped to the roofer’s belt using a clip provided with the anchor.